After the box office failure of Barry Lyndon, Stanley Kubrick decided to embark on a project that might have more commercial appeal. The Shining, Stephen King's biggest critical and commercial success yet, seemed like a perfect vehicle. After an arduous production, Kubrick's film received a wide release in the summer of 1980; the reviews were mixed, but the box office, after a slow start, eventually picked up. End of story? Hardly. In the 30 years since the film's release, a considerable cult of Shining devotees has emerged, fans who claim to have decoded the film's secret messages addressing everything from the genocide of Native Americans to a range of government conspiracies. 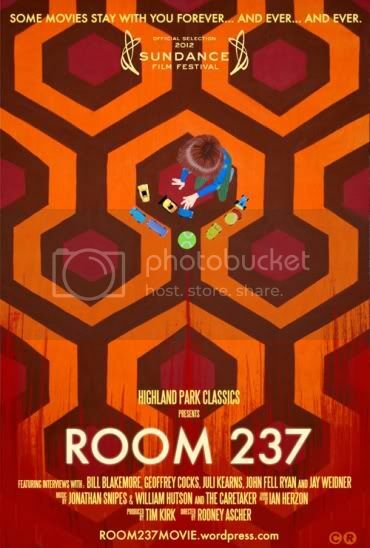 Rodney Ascher's wry and provocative Room 237 fuses fact and fiction through interviews with cultists and scholars, creating a kaleidoscopic deconstruction of Kubrick's still-controversial classic.